Contact us if you want to join our Reseller & Franchising Program in the available areas. 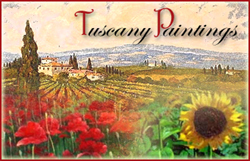 the moving ART is the largest art gallery in Italy where it is possible to obtain the most beautiful original Paintings, Tuscany Paintings and copies of classic artworks, entirely painted by hand by our master artists to museum quality, and at the lowest costs on the market. 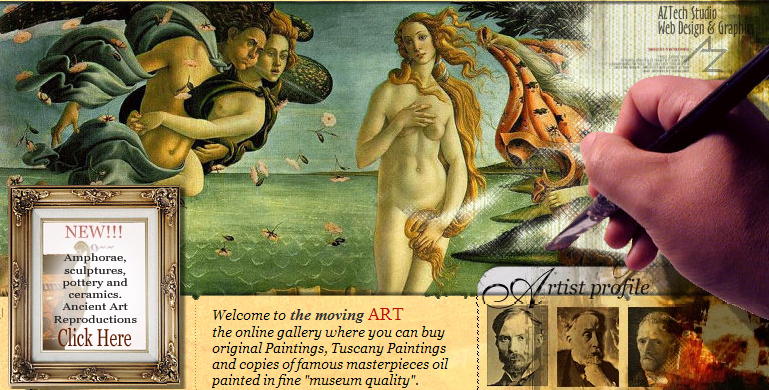 Art masterpieces are the heritage of us all; millions of people travel every year to visit museums and art exhibitions. A work of art transforms your surroundings, making them unique, interesting and welcoming. It confers style, warmth and value. You need only leaf through any furniture magazine, or pay close attention to a film, to realize how important works of art are. Our canvases make a living room, a hotel room, a restaurant or a meeting place unique; in any location, skillfully placed, they will be able to create a magic atmosphere, helping to generate positive states of mind and culturally and emotionally enriching all those who enjoy viewing them. Throughout the world, and also in Italy, the market for copies of masterpieces is expanding more and more and the demand for such works is multiplying - from collectors, art enthusiasts and interior designers, but also from ordinary citizens. Copies of classic works of art have their own intrinsic value and their own market; the famous auction houses Christie's and Sotheby themselves successfully put these works up for sale. All our canvases, painted in oils, are produced with strict adherence to the painting techniques of the various artists. The artworks can be purchased, at incredibly reasonable prices, complete with magnificent frames, or rented with the resulting possibility of periodically replacing them and renewing your own collection.  The panel is still fresh with paint. It is not framed and is leaning against a wall. It must have been more or less like this when Leonardo da Vinci completed one of his most famous portraits, the Lady with an Ermine. A magnificent picture which is said to bring good luck to whoever possesses and displays it. Striking to the eye are the perfection of the brush strokes and the softness of the mysterious young lady's face, copied to true perfection. It is a breathtaking sight. And the idea of being able to hang in a room a painting identical to one of the timeless masterpieces of art, is certainly fascinating." Each gallery contains, beside the paintings for sale or rent, a bioghraphy of your preferred artist and a synopsis about his own style of painting. Soon we will add other galleries of copies of the following artists' masterpieces: Toulouse Lautrec, Munch, Mondrian, Picasso, Kandinsky, Klee, De Chirico, Miro' , Magritte. The works of art can also, at the request of your customers, be sold by you. In addition, an identifying plate can be placed below the painting stating "copy of........" and with a few remarks on the picture and the artist. With a minimal investment, your residence or office will become a small museum and all this will certainly be a distinguishing mark of your premises, conferring class and prestige. The painting will catch the attention of all guests, who will certainly be able to appreciate the novelty, thus bringing notable advantages to your business and a great boost in image. Display a work of art and you make your window unique; it will be a distinguishing sign of your business and will draw the attention of all passers-by, who will be captivated by the beauty of the works on display and the originality of the initiative. Try it out initially with just a few artworks and you will see the results on the image and productivity level.